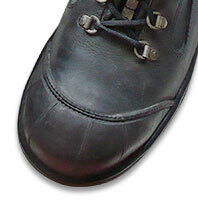 Safety Shoes/Footwear is essential to offer optimum protection to the workplace. It protects the user's feet from dangers of injuries caused by sharp objects, extremes in temperature, absorption of elements and falling of heavy objects. The type of safety footwear that you need to go for is determined by a number of factors such as climatic conditions, indoor or outdoor use, type of materials that it includes and compliance with existing standards. Why should I buy Safety Footwear? 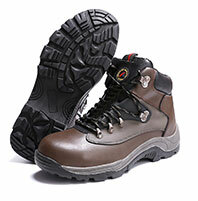 It is a common perception that safety shoes are used only in factories and industrial sites. In reality, safety shoes protect you not only from industrial accidents but are also essential during home jobs, adventures. While working in industrial sites or plants, you might step on or get struck by sharp objects from above. 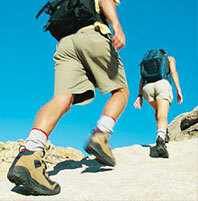 Use of shoes with sturdy soles and thick materials can ensure optimum protection of your feet. While carrying heavy materials or work in dynamic environments where many people and machines are in use at the same time, injury risks from falling and flying objects are quite common. Use of protective shoes such as steel toe boots can make sure that you are safe from crushing injuries at your workplace. At the workplace, Safety Shoes can be selected according to the job role. If you have to handle heavy industrial materials on a daily basis, then you will need to go for shoes that come with steel or composite toes. Joint problems are quite common among industrial workers who need to ride bikes or drive heavy trucks. To stay safe from these issues, it would be wise for you to have Steel Inserts. These shoes can be helpful in checking the excessive movement of feet. This, in turn, can help you prevent joint and bone related issues. 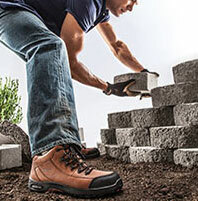 Safety shoes can prove to be helpful for DIY projects. 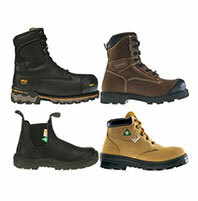 Weight of the footwear and comfort are important factors while selecting safety shoes. The ones that are lightweight and elastic can help you to be agile while working on DIY projects. People with an avid interest in trekking, mountaineering or adventure sports need sufficient level of feet protection while being on the move in inhospitable conditions. 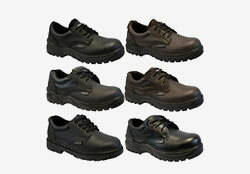 Antistatic, Antiskid Shoes made from genuine leather can help keep your feet safe while moving in terrains. Boots that come with multiple layers can protect the feet in areas with extremely low areas. They are ideal for use in agriculture, petrochemicals, construction etc. SB- Toe protection which is tested to 200 Joules and 15000 Newtons compression. S1- Toe protection is tested to 200 Joules impact and 15000 Newtons compression. Suitable for shoes with an antistatic and energy absorbing heels. S2- Toe protection which has been tested to 200 Joules impact and 15000 Newtons compression. They have a water resistant upper portion and antistatic and energy absorbing heel. S3- They can withstand an impact of 200 Joule and have a compression of 15,000 newtons and have steel or composite toe caps. Safety Boots: These are the most common types of safety footwear, and include protective toe-caps with a number of safety features such as slip resistant soles, insulation from extremes of temperature and penetration resistant mid-soles. Clogs: Also known as safety footwear, they are normally made from beech wood and have a steel toe caps and rubber soles. Safety footwear: As in the case of safety footwear, they come with steel toe-caps as a protective measure. They also have a metal-free version which is known as composite footwear. They are usually lighter. 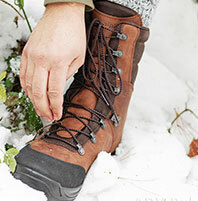 Ladies ranges: Safety Footwear for women are available in a different range of styles(boots, shoes and trainers) with features like steel toe caps, oil resistant soles and heat resistant midsoles. Safety trainers: Regarded as visually appealing to wearers, they are more casual. A number of them have a toe cap while others have plastic/composite toe caps. Gumboots can offer optimum protection to the feet in different chemical plants and mines. Steel Toe: A steel toe is a steel cap which is built within toe box of a work boot during the manufacturing process and offers protection to the feet and toes of the wearer. They are specifically developed to satisfy specific safety requirements related to foot protection from any type of impact and compression. Composite Toe: It is similar to a steel toe and comes with a non-metallic and non-magnetic safety toe cap. It is lighter in weight as compared to a steel toe cap. They are best suited for people who work in airports, nuclear power plants or as security personnel. Alloy Toe: It is much lighter than a steel toe but is equally strong. A slight reduction in boot weight will minimize food fatigue and make factories, plants and construction sites better places to work. Shop them when you. Non-Metallic Toe: One of the major advantages of using non-metallic toe protection is that it can make you feel lighter. Moreover, these toes are not electrically conductive. Aviation industry footwear: People involved in the aviation industry have to deal with delicate components and heavy machinery. These shoes have fuel oil resistant outsole and help users to walk and handle heavy machinery and breakable components with ease. Mining industry: For miners in the industry, sturdy boots are effective in keeping user's feet safe in mines. The ones that are specifically designed for heavy duty and walking over long distances are ideal for use. 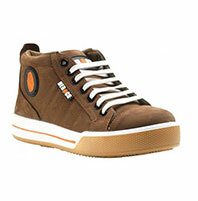 Construction industry: This type of shoes comes with a nubuck leather in the upper lining. They are good energy absorbers and come with outsole which are resistant to heat and fuel oils. They can resist heat which makes them suitable for use in hot, humid conditions. The upper part of the boots is water resistant. Petroleum industry: Oil and slip resistance are two major factors that professionals need to take into consideration while looking for safety footwear. Chemical industry: People working in labs and chemical plants need to use specialized footwear which are penetration proof from liquids, high temperatures and harmful dusts. Transportation & logistics industry: Safety shoes that come with PU antislip, oil resistant soles are most suitable for logistics professionals who are often on the move. Safety shoes whose heels adjust while hitting the heels on the ground, spread pressure over a big area. 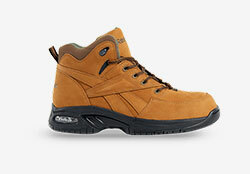 Power industry: Lightweight safety shoes that come with PU sole are best suited for use in power plants. Food & beverages industry: that come with PVC moulding are considered ideal for use in factories that manufacture food & beverages. 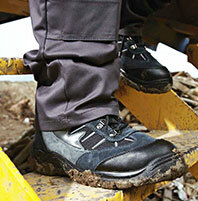 Antibacterial, oil & water resistant and antislip gumboots can be used in long term basis in these situations. Metatarsal Shoes: These shoes have been specifically developed for the safety of the upper part of the feet. These shoes minimize and reduce the risks of injuries from accidents that can be caused by heavy equipment falling or dropping down on feet. Popularly known as drop hazards, metatarsal shoes offer internal and external protection to all parts of the feet. They are normally worn in jobs or construction sites that involve lifting of machines and heavy equipment. Electric Hazard Shoes: It is most suitable for workers who handle circuits, wiring and machinery with high voltage machines and devices. They come with a distinct sole which minimises the risk of any worker when he is exposed to high voltage circuits. Metal Instep Shoes: This type of footwear can keep your feet protected from harmful objects, accidents and outward injuries. These shoes are specifically designed to protect and safeguard shoes from sharp and pointed objects like glass pieces and nails. They are best suited for use in factories that manufacture glassware, machinery etc. Metatarsal Protection: You need a boot that can offer protection to the metatarsal area which is often exposed to injury risks. A number of safety shoes come with a shield-like feature and covers an area to the top of the instep. It offers protection and absorbs any type of impact. Slip Resistance: Safety shoes that come with interlock soles can offer a better grip by removing water, oil and other slippery substances from the interlocked lugs of the outsole. Check whether the slip resistant styles available in the market meet or exceed current industry recognized guidelines. Toe Resistance: Safety shoes that come with composite or steel toe cap ensure the safety of the user's toe from heat, cold and electricity. They are also suitable for people who work at metal detector checkpoints. Protection from electronic hazards: Safety footwear that are designed and manufactured from non-conductive electric shock resistant soles and heels come with an outsole which offers a secondary source of electrical shock resistance protection from hazards with live electrical circuits, machinery and parts. They are specifically designed for use in dry environments. Protective outsole offers a grounding system which helps in creating a low-resistance path which connects with the earth. As a result, the wearer can be safe from the buildup of voltages that may lead to shock. Bacterial Protection: Safety footwear that come contain antibacterial scented polyurethane can help users to keep their feet safe from any type of bacteria. Heat Resistance: Safety shoes that come with a PU midsole and rubber insole can bear high celcius temperature over a significent time period. Water Resistance: Safety footwear that come with seam sealed waterproof leather upper section are ideal for use in areas with damp, muddy surface. PVC soles: This type of shoes have high durability and can stand the test of time. Some of them can withstand heat temperature up to 70°C and sustain their durability in heated industrial conditions. They can also resist animal fats(poultry), chemicals, oils, greases and air. PU soles: These type of soles are best known for being water resistant and light but abrasion resistant. Thermoplastic Urethane(TPU) sole: Thermoplastic urethane is used in making sole outsoles. Compact, and lightweight, they have a high durability as well. To find out whether safety footwear requires a replacement, shoes with steel toe caps offer better clues as compared to shoes with composite material toecaps. For instance, if a heavy object falls on a steel toe footwear, it can be dented and won't spring back. The footwear will need to be replaced under these circumstances. In contrast, composite material shoes may be greatly damaged but still retain their form. Experts recommend industrial workers to opt for impact resistant footwear. If the shoes get tattered and worn over a period of time, and the toes are visible through the sides, the steel toe can be visible through leather and will need to be replaced. The same rule of thumb applies to slip-resistant safety shoes. If the outsole shows any visible signs of wear out, the shoe is likely to be passed it's prime. 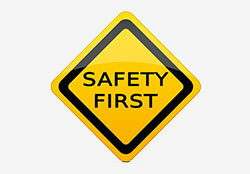 But how to take the best care of safety footwear on a regular basis? To ensure that your pair remains in the best working condition, it is essential to keep the footwear clean, wash and dry feet thoroughly and change socks on a daily basis. Make it a point to polish full grain leather footwear and treat it with a leather preservative. 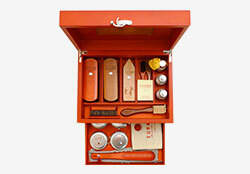 In the case of shoes made from brush suede and nubuck leathers, applying waterproofer would be a good idea. Clean the soles by brushing and washing for removal of contaminants. However, keep one thing in mind. Avoid using solvents for cleaning the footwear. It should not be forced dried. They are best suitable to kept in a cool, dry place away from direct sunlight. To protect the pair from water damage, remove excess water using a dry cloth. They should be dried in a well-ventilated area, which doesn't have access to do direct access to sunlight. Check the footwear for external damage before and after each use. If there are cracks or breaks in leather, you will need to replace it. Unauthorised alterations should be avoided as they alter the effectiveness of the shoe. The size of your feet tends to change at various stages of your life. 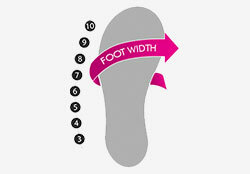 To ensure that you get a shoe of the most appropriate fit, you can take a measurement of your feet. To do so, you will need to place your feet on a blank paper on a hard floor. Then, stand on top of it, wearing a sock with medium thickness holding a pencil which is 90º and create a mark on your heel's end. Put another mark on your longer toe's tip. To have a good idea of your size, measure this mark. In case, your measure is between two sizes or the measurement of one foot is more than that of another, go for a pair with a larger size.